Here’s a cake sure to sweeten up the Valentines in your life. 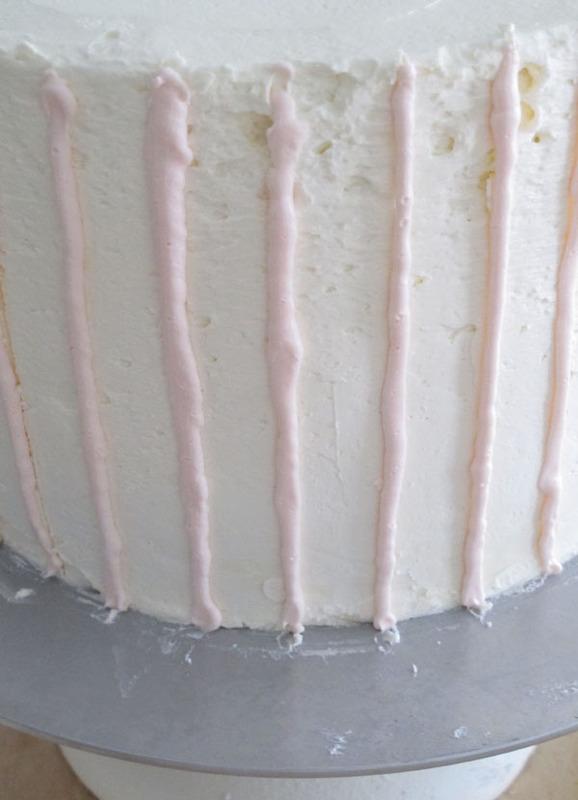 Pick up three boxes of your favorite white cake mix—or work from scratch if you have the time—along with a bottle of Wilton’s Icing Color in petal pink. Split each box into two batches for a total of six, then add increasing amounts of dye little by little until you achieve the ombre effect. 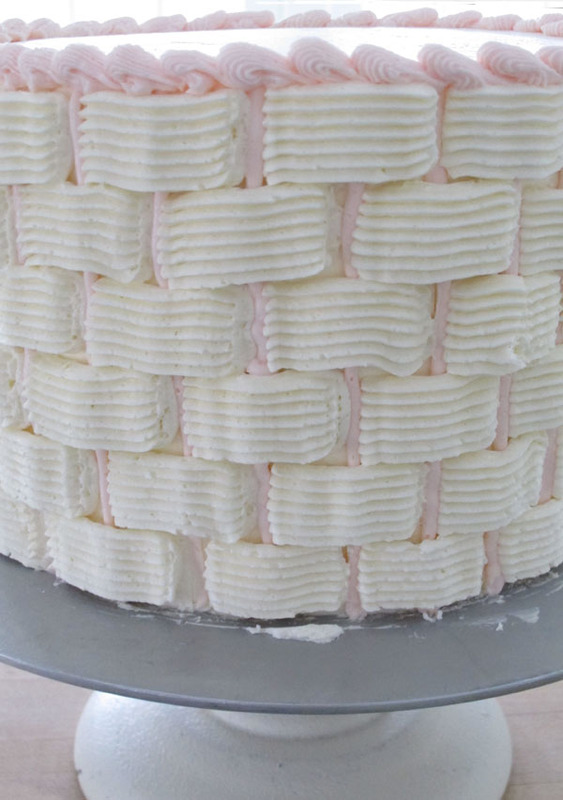 For the outside of the cake, I used a piping bag fit with a basketweave tip. Happy baking, everyone! So unbelievably gorgeous. And you make it look so easy! I’m going to have to try this at home. Great minds think alike- I JUST posted a DIY pink ombre box I made! In fact, its the perfect match to your cake. 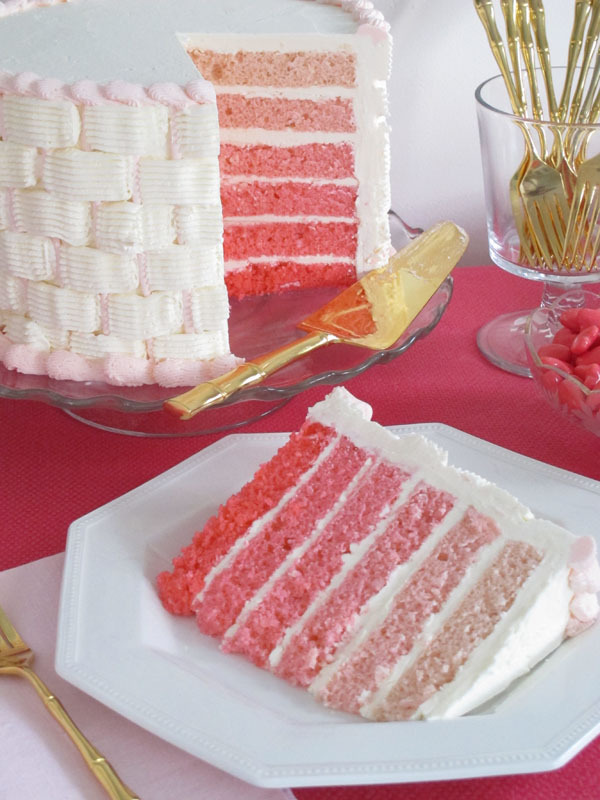 mmmm I am in the mood for a pink cake now- so delish! That cake is beautiful!!! And looks delicious. Absolutely beautiful! And I love that you gave permission to use a boxed cake mix! This could be just the cake fo my daughter’s sweet sixteen birthday in March. Thanks for the glorious inspiration as always! That is such a pretty cake! You’re amazing Eddie! Did you really do this yourself? Get out. You’re inspiring me to try it! I love this idea! But, then I love everything you do 😉 Thanks for sharing! OH my goodness, it’s nearly too pretty to eat! Not that that would stop me 😉 Feeling hungry now. Just love ombre and the element of surprise! Sigh……Eddie only you could be this creative, I can just taste this yummy cake. Best to you and Jaithan! How delicious looking! I might have to give this idea a try for valentine’s day. Stop it with this cake and those gorgeous forks! Just stop! Too beautiful. Fabulous as always! The pink puts it over the top! I’ve got to attempt this for Valentine’s Day. Perhaps a sprinkle of edible glitter on top to complete it! This is gorgeous, but dang it, I just went gluten free last week! That looks so good! And it seems simple enough I might give it a try since I have 7 days in case it doesn’t quite work out. Thanks for torturing me just before dinner! Eddie, I love it! You are so clever. Thanks for sharing step by step photos! What kind of icing did you make? 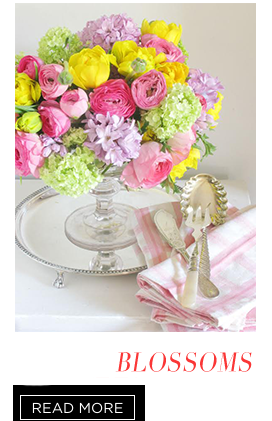 not sure what i love more……the ombre effect, the basket weave icing or the sweet bamboo forks in the shot. i have to go lie down and take it all in now … 🙂 Happy Valentine to you and Jaithan! 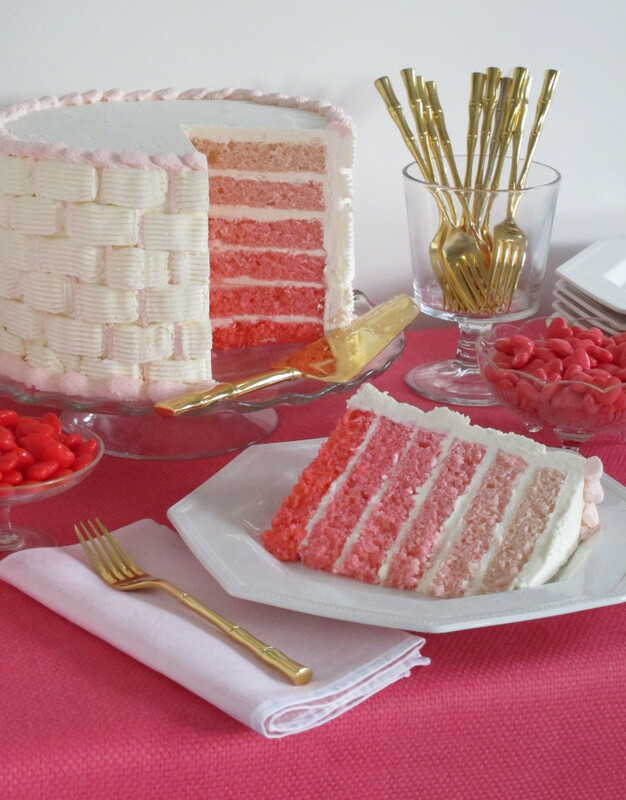 Hello Mr Ross, gosh I just love this delightfull pink shaded cake! Thank you for sharing, I will def try my hand at this..
Wow! What a pretty cake! LOVE, LOVE THIS CAKE! What a brilliant idea tinting each layer. I wondered how they did that. Beautiful! 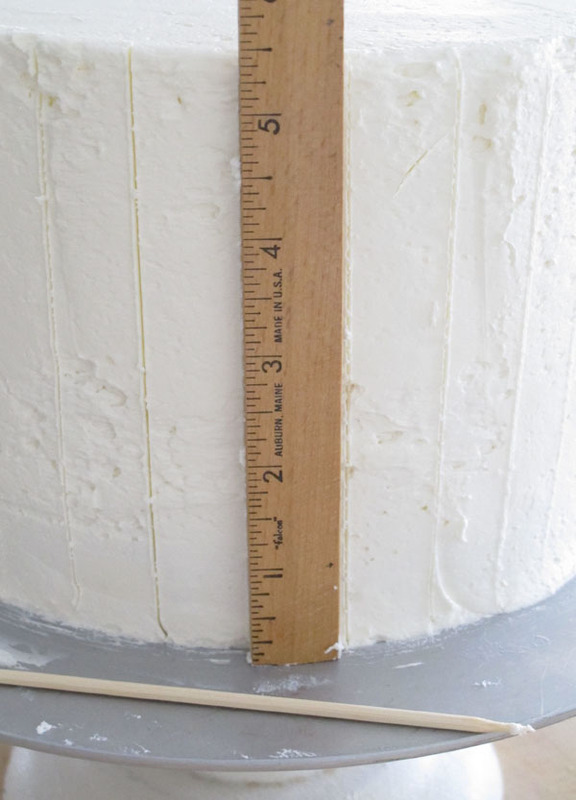 In addition to showing a great tutorial…..I feel like you’ve just introduced me to my new “signature” cake! Varying shades of pink. YES, please!!! ps: Shake shingle going up – looking sooo good! I’ll send pics soon. OMG, that cake is incredibly beautiful. What a perfectly beautiful and simple idea! You have totally inspired this non-baker. I think I will make a sunrise cake, maybe for Easter. Thanks so much! You always bring a smile to my face……. yummy and gorgeous! Great job Eddie and Jaithan! When are ya’ll heading to Charlotte?? 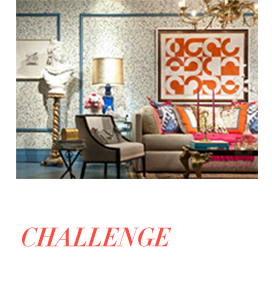 ?….we are starting a big home renovation in 2 weeks …woo-hoo! and can I beg you to come help me sassy it up the end of August? pretty please! Transforming this 1953 ranch into fabulous…excited and nervous! Eddie, That cake is simply beautiful. I love simple things. Looks like even I could make this for Valentines Day. OMG Eddie Ross! I do declare! You Are SO bad–bad meaning good! I LOVE it! Kudos for your cake! 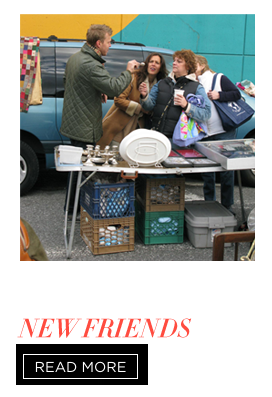 Oh, I love this….you make it all so easy…why do I think mine would look sightly less….ahmmmm…impressive! Thanks for the inspiration. Not to be too forward, but I love you! I have been trying to think of a dessert for Valentine’s for my little guys, and you just solved my dilemma. Superlative as always, thanks! That cake looks amazing and I think that this could turn into a lovely pink valentines’ day gift. I’m dying! That is the prettiest cake I have ever seen!!!! This is GORGEOUS! 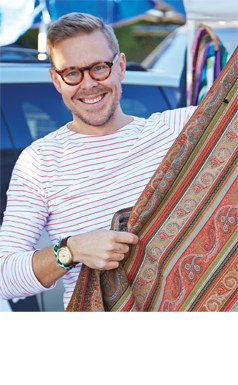 I love ombre in rugs and fabrics…now I can EAT ombre..
not in a million years………but i will come to you for a tasting! 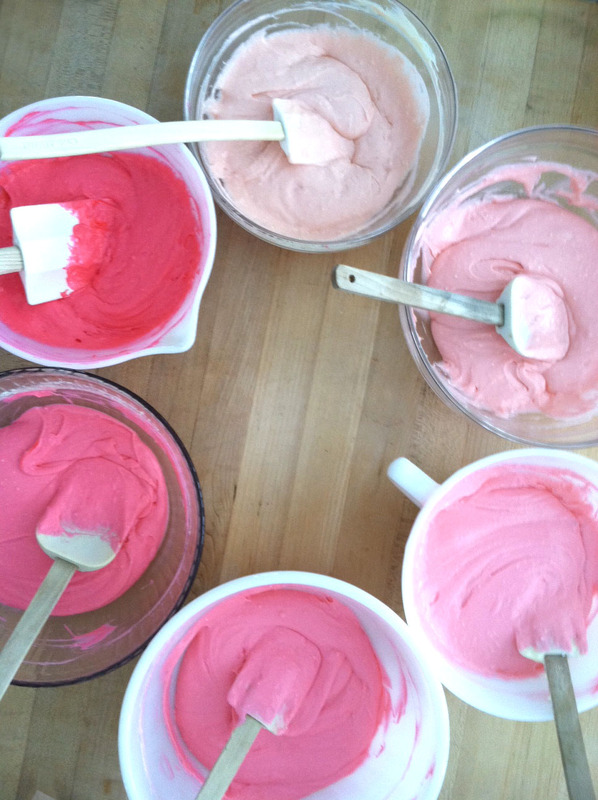 I have never used cake mix, I think it might be an American thing, but I love the pretty pinks and the weave us beautiful. Hope you are both well and happy. What a pretty cake- such a surprise to behold upon cutting a slice! Thank you for the great inspiration! Pink is my favorite color…love the cake! You make it look so easy, Eddie. Unfortunately/fortunately, I’m leaving in an hour for three weeks in Argentina. I’ll miss baking sweets for my sweetie. We don’t know if they celebrate this holiday in Buenos Aires, or not. I agree with everyone else – it is beautiful! Can you share the source of the gold flatware? I just love it! BEYYOOOOOOOOOONNNNNNDDDDDDD!!!! Omg that is so amazing!!! That is lovely. I’ve seen rainbow cakes, but never an ombre cake. But, of course it works! Filing this away to do soon. beautiful cake! 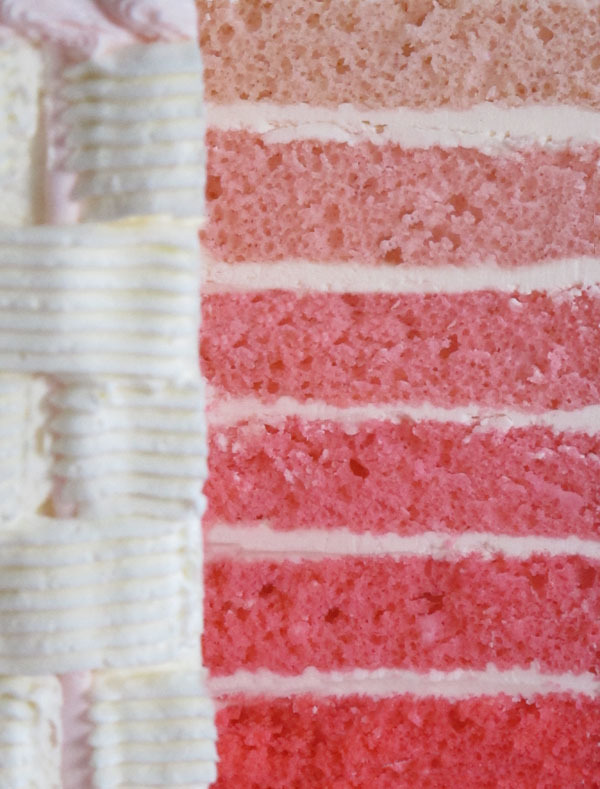 i am really wanting to try an ombre cake soon! Eddie, I am just in awe of your talent!!! Absolutely gorgeous! I may have to bake on Valentine’s Day! You inspire me. You are one of the most thoughtful people I have ever come across.The way you pay attention to details and your generosity to share what you are doing is amazing.I do respect your work. stunning! and i’m sure it’s yummy too! This is just beautiful and very apt for Valentine’s day. 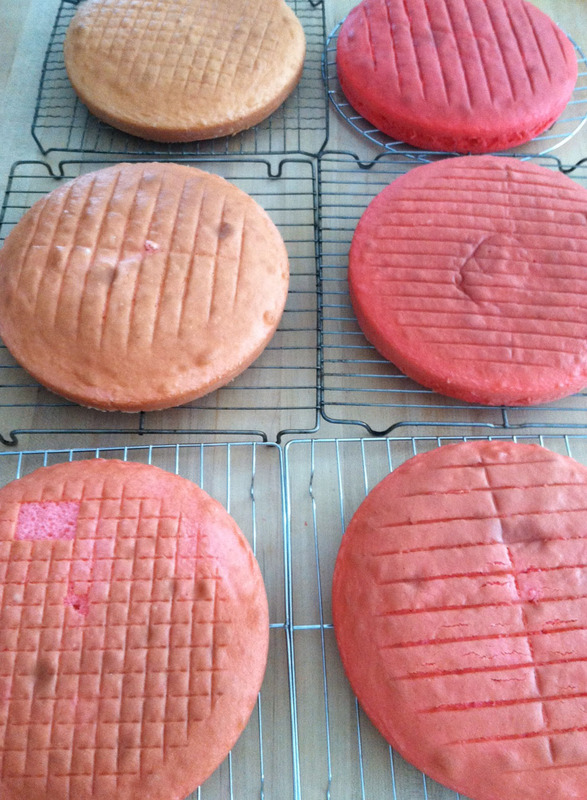 I love all the beautiful photos during the prep and baking process too. Just stunning. Found upon StumbleUpon and now definitely following. Lokking forward to more gorgeous cake creations. I’m embarking on a journey into the cake baking and decorating world. I’m a single, mobility disabled, mum of 3. I’m very much a novice so looking at stunning work has me in awe. Beautiful and delicious!!!! hope you’re having a nice weekend! You “take the cake” with this one! Almost too pretty to eat. AND with all the different food colors Wilton offers, the possibilities are endless! This looks so yummy. I want to eat some right now! 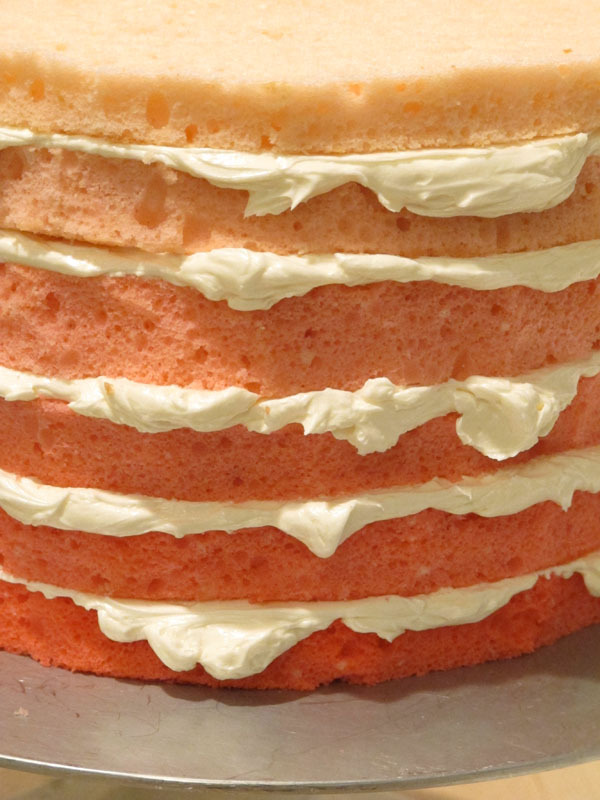 Your cake was so awesome that you inspired me to make my own Pink Ombre Cake. Check it out if you wish, on my blog, Charming Zebra. Eddie, you are a constant source of inspiration. This is insanely fabulous. And the gold pieces are to die for. Makes my little old Valentine cupcakes look like Easy Bake cast offs. Dang. Keep up the amazing work. Thanks for showing how to do the icing– I can’t wait to try it! Happy Valentine! This is most delicious! Wow, that’s a cake worth writing home about! How long does that take? All day? Beautiful! So pretty! 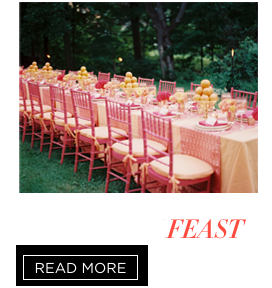 I love the different shades of pink, perfect for VDay! Great job with the frosting too! WOAH that is so beautiful. So inspiring, as usual. Thanks for that! This looks delicious!! What kind of frosting did you use? Eddie, this cake is amazing! 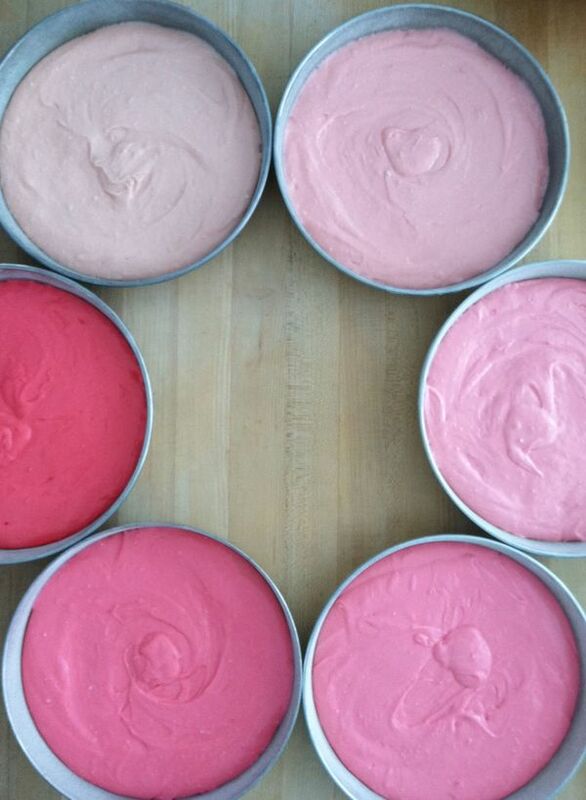 Perfect for a girlie birthday cake – I know pink is my favourite colour! Wow, what an amazingly gorgeous cake!!! You really do make it look so easy but it’s a beautiful work of art. 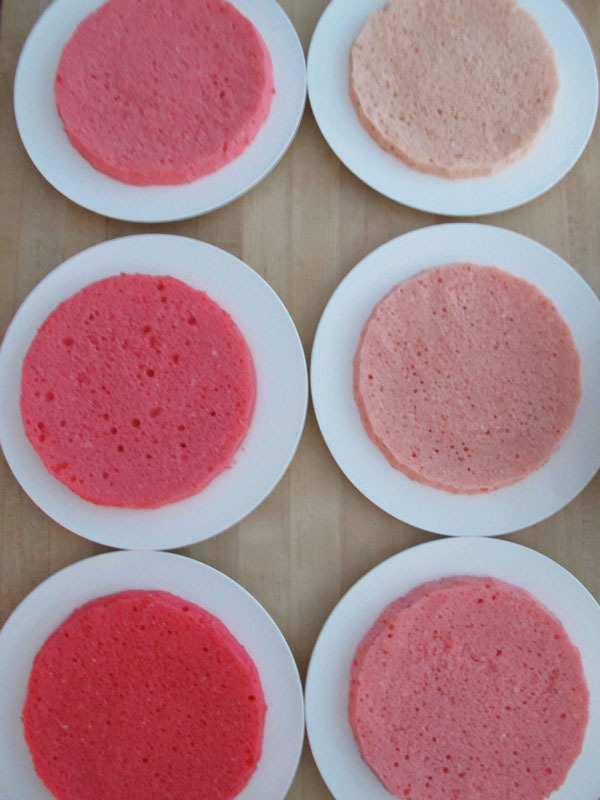 I have been looking all over for a great pink ombre cake recipe and finally found one! Thanks for sharing – you also did a great job with the pictures, who wouldn’t want to try this once they saw those?? Yummy this is so good to watch,i want to try it. Eddie- Wow. How could you eat it? I’d just look at that lovely slice all day. What a perfect wedding or baby shower cake! I’m filing this away for the future. I have three little girls at home. They’d love this! Thanks for the recipe. That is adorable! I might have to make this for my daughter’s birthday, she adores pink! How sweet is that cake I just love that pink layers they look absolutely awesome. Hi Maria- Nice of you to say so, thank you!Hi Adrienne- Fondant can be a pain, but there’s nothing teiancchl about a potato stamp!Roving Lemon- Thanks. It came to me in a flash. We used to do it as kids with paints and paper, so why not grown-up play, too?Hi M. Houseman- The first year goes by so fast…Hi Abigail- You deserve every word! Hope you give the cake a shot–Jack will thank you!Hi Jessica- I’m already thinking of how to dress it up for Easter, because it would be perfect in every way!Hi Cheryl- Thanks, the party was pretty simple as I didn’t do ALL the suggested activities. (none actually)! !Hi Jess- Too true. They are more memorable too (because everything is hand made)Hi Hilary- Both my boys love it. Such a classic! I love to give it our at baby showers.Hi Peter- Thanks! I’ll pass along the well wishes.Hi md_witmer- This would be so cute for a baby shower. Hope you try it out!Hi culinarywannabe- Really!?? Thanks for the vote!! Yeah, I’m not a huge fan of the face-first-icing-up-to-the-ears tradition.Hi elyse- Sweet of you to say so! A cake must taste as pretty as it looks, right? I had to chuckle. Stress with a cake is prabobly high, but the stress I’ve had over the past 4 weeks or so has nearly killed me. I wish I had cake stress instead. Send you clients to me. ;)Looks delicious by the way.And camping -never tried it with kids before. Let us know how it goes. Looks like a lot of work, but super yummy!!! You are very talented! !